Faryal tried to make up, but Amir isn’t having it – Neither is Anthony Joshua? It has just been reported that Amir Khan has given the first Islamic Divorce ‘Talaq’ via Text message. This is to dissolve Islamic Nikah, (Islamic marriage). Amir Kym must execute the Muslim method of divorce in accordance with the rules of Sharia and ‘Talaq’ his wife. In the U.K. A divorce decree doesn’t overwrite an Islamic divorce and as a practising Muslims, they must both divorce their civil Marriage and their Islamic Nikah, individually. They are some varying descriptions and rules they must follow, but the consensus in Sunni Islam, which Amir is a member of, is that in order to divorce his wife, Islamically, Amir Khan must say the words ‘Talak’ three times. Faryal has gone silent since this last post. A recap of what’s happened so far. In an astonishing Twitter feud last night, the couple appeared to be in a bitter spat after Khan announced their break up and claimed his wife-of-four-years cheated on him with heavyweight boxer Anthony Joshua. 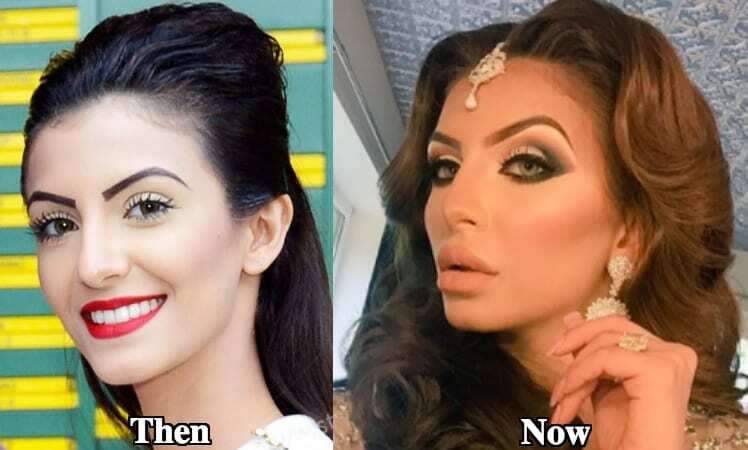 Amir Khan’s wife Faryal Makhdoom allegedly tried to make up with the boxer in a late-night call for the sake of their daughter after their explosive split. However, reportedly Amir put the phone down on her. Reports claim Faryal came up with the desperate notion of lying to the media in an attempt to end the feud and reconcile. She suggested that the pair should announce that their Twitter accounts have been hacked and tell the media as a “way out”. Sources suggested that despite this Amir Khan stood his ground and remained firm on the matter, suggesting that she was not genuine and looking for a way to maintain some media exposure to her life, which she built on the back of Amir, as Khan repeatedly refers to her as a Gold Digger and a cheater. Amir Khan and Faryal’s twitter feud exploded with all the images in this report. Even though some of the messages have been deleted. In a twitter war that raged late into the evening, Anthony Joshua responded to the accusation suggesting he wasn’t interested in Faryal as she was not his type. After which, Faryals family, tried to extend an olive branch to the Khan’s and consequently Faryal, deleted all her messages on twitter claimed to be the bigger of the two and reports suggest that once the Khan family refused to intervene, she went on another rampage, again on social media and reignited the public feud with her own Snapchat rant where she threatened to share secrets about his personal life. She fumed: “Shocked at Amir’s response (sic). Disgusted and clearly it’s not him talking…I could blow up ur spot so bad but I’ll be the bigger person. “Actually trying to ruin someone’s life like this is a low blow. Especially someone who’s been there through every cheating scandal and stuck by your side when your own parents screwed you over. It’s ok.
“I’ll stay quiet. I won’t let YOUR dirty laundry out in the public. Because I’m better than that. “Clearly being influenced by someone. Hope it’s not the family again. “I’ve treated him bad? Lol…… why because I stopped him from haraam? sacrificed my life and my daughters for someone who drinks alcohol every day and calls himself a boxer. This morning Faryal added a tweet saying ‘Sabr’ in Arabic on twitter and quickly deleted an hour later and with her claims that she has been hacked and then adding and removing her own post, and then hit out in a tirade of abuse; it does seem to be officially over. It has not yet been confirmed if Amir Khan has given the Islamic divorce of ‘Talaq’ which would finalise the separation in Islamic terms. Khan is currently in Dubai on his own, whilst his wife is back in the UK. Stay Tuned for more updates as they happen.